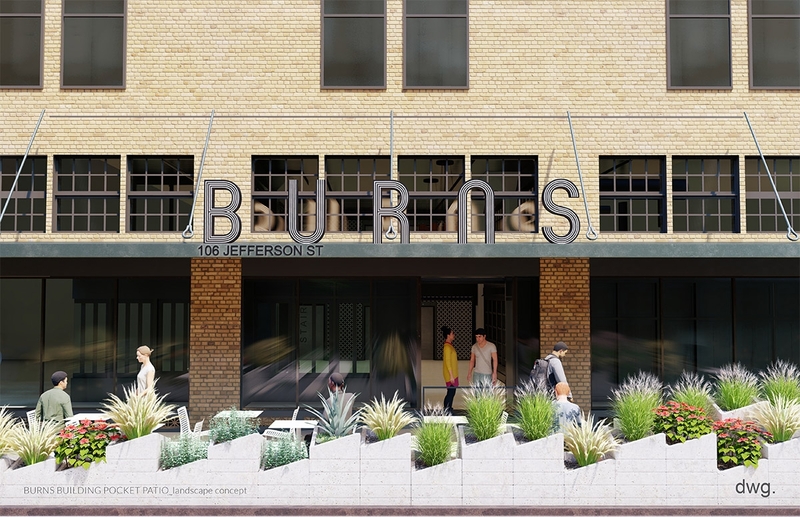 The assembly of a parklet on Jefferson Street could begin this month, said Luis Miguel Martinez, urban development manager for AREA Real Estate, the company that renovated the adjacent Burns building. 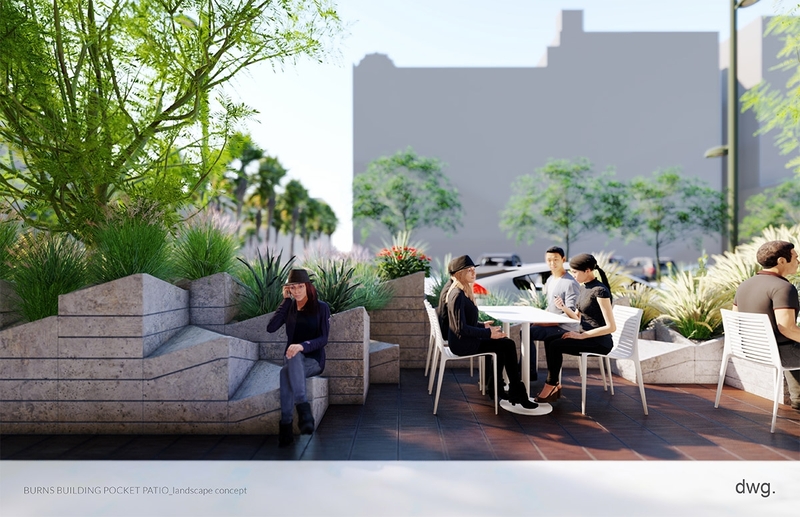 The micro park, a public space, would be the first of its kind in downtown San Antonio. 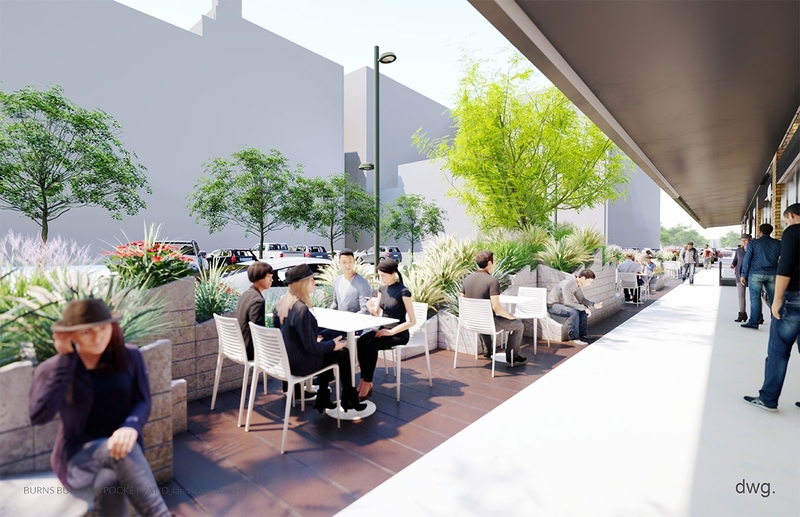 In place of four current metered parking spaces, the parklet would provide tables and chairs and benches protected from traffic by a series of planters. Martinez said the parklet would take 1-2 months to assemble. 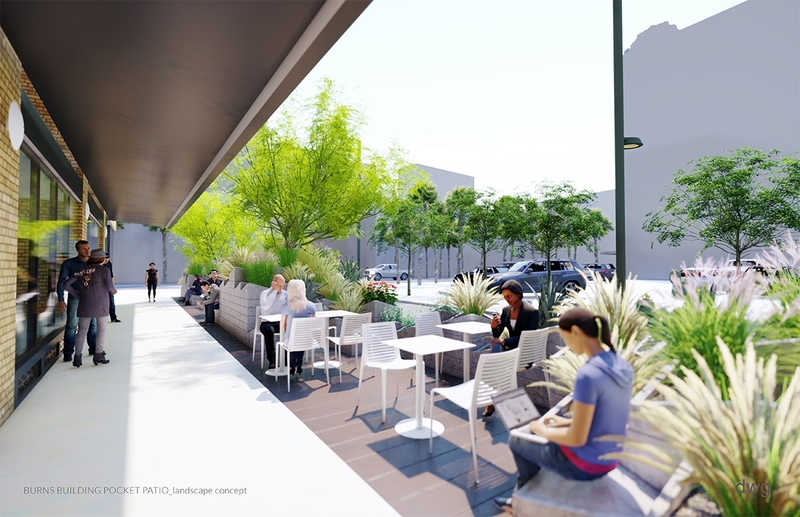 Last Wednesday, the Planning Commission approved the pocket park, and the project is headed to the City Council on Dec. 13. 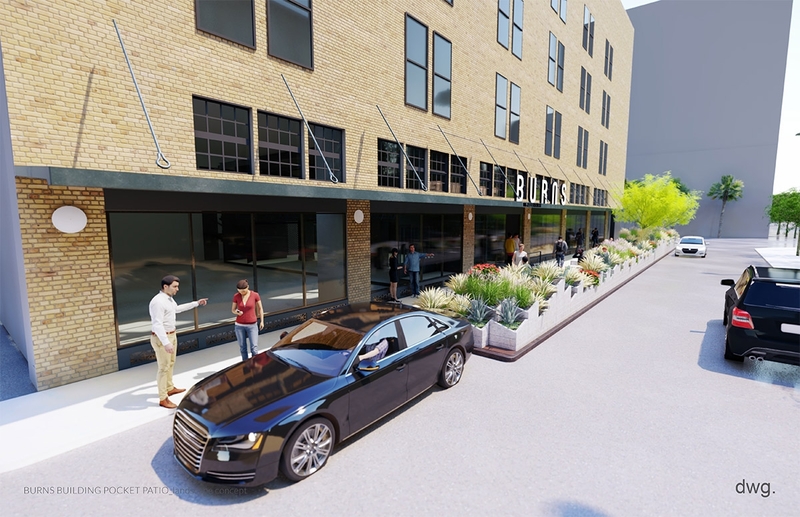 The city will “permit” the four parking spots—on the east side of Jefferson, between Houston Street and Peacock Alley—to AREA Real Estate for 10 years. 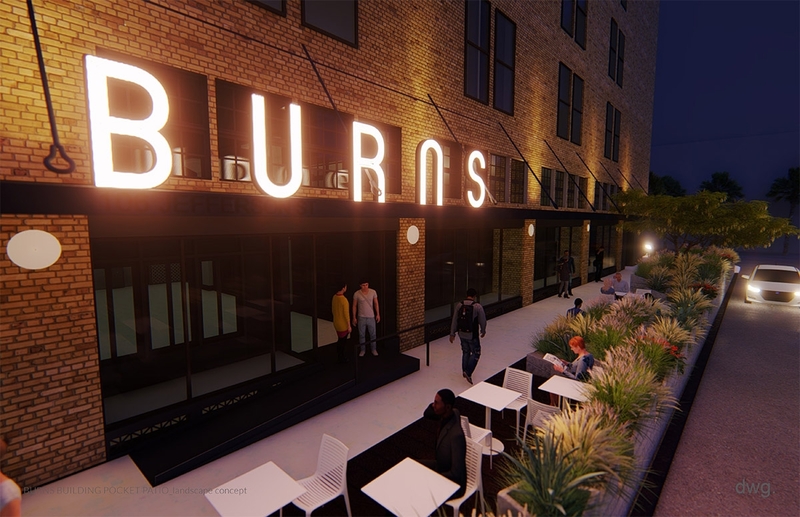 The permit will cost AREA for $800 per year, according to the Center City Development and Operations department. 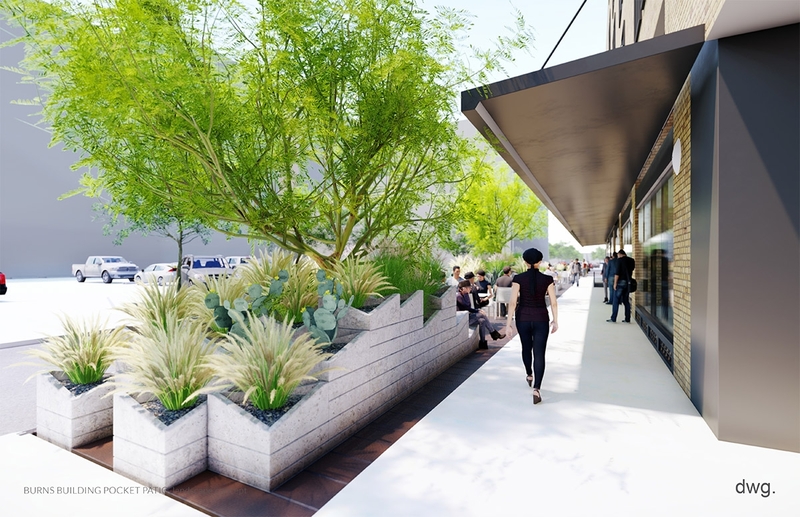 A portion of the commercial loading zone at the end of the parklet, next to the alley, would remain available. 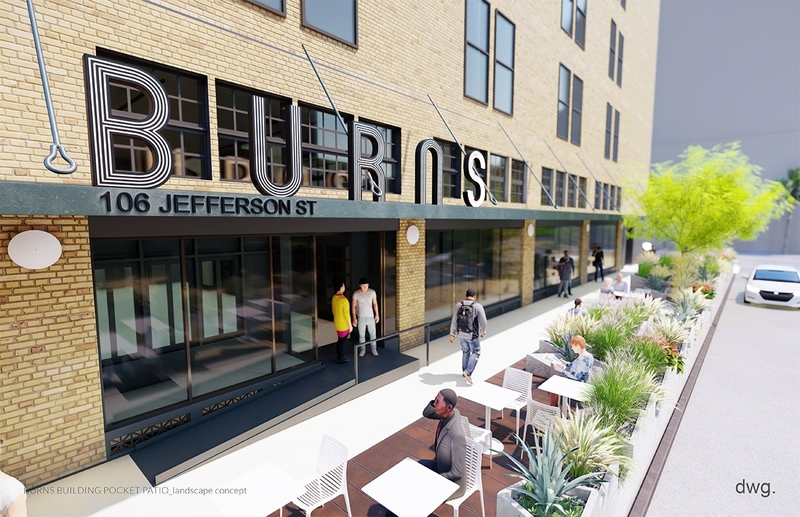 “The goal is to provide a positive pedestrian and seating experience for up to a 10-year permitted period,” the Center City Development and Operations Department said in a statement. 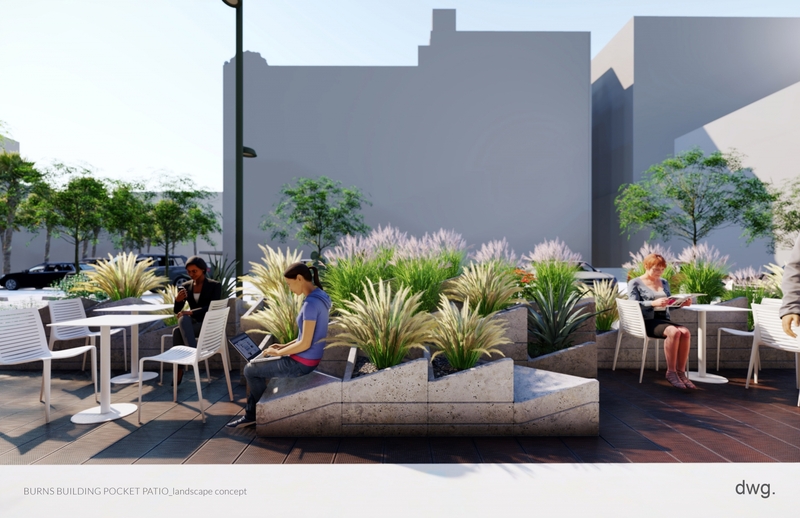 In an interview last week, Martinez said the city can choose to remove the parklet at any time. “It’s subject to removal at anytime by the city,” Martinez said. None of the modular pieces are permanent, and the whole thing can be disassembled in two days, architects from the Austin firm dwg. said at a Historic and Design Review Commission (HDRC) meeting in September. During that meeting, the only opposition came from the San Antonio Conservation Society, whose main concern was over the loss of parking spaces. 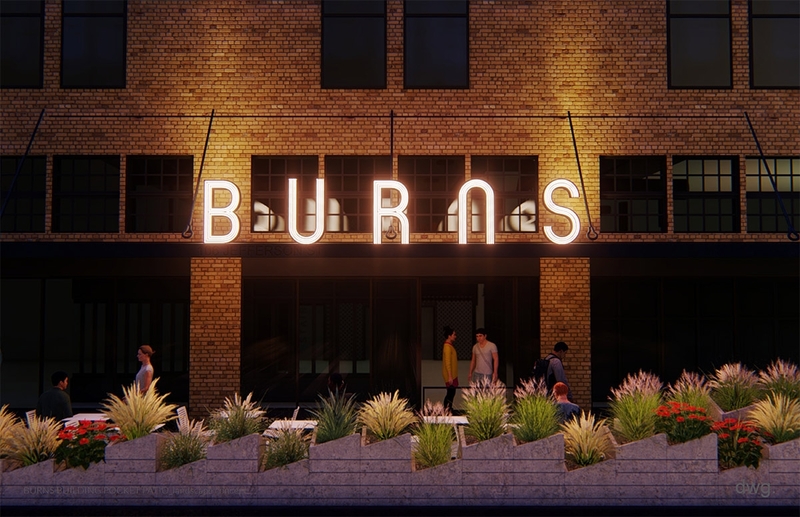 AREA Real Estate, David Adelman’s company, has renovated the Burns building. In early August, PricewaterhouseCoopers and Cogeco Peer 1 moved into offices on the third and fourth floors. The second floor remains available. On the ground level and in the basement, Dallas-based Devils River Whiskey will eventually move its headquarters and open a distillery. Barber Church Holdridge has already opened a shop there. And CommonWealth Coffee & Bakery is scheduled to move in in the coming months.